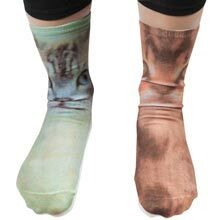 Sweet, photo-quality cat portraits are printed on front and back on soft, comfy acrylic ankle socks. Machine wash. Imported. 11"l. One size fits most. 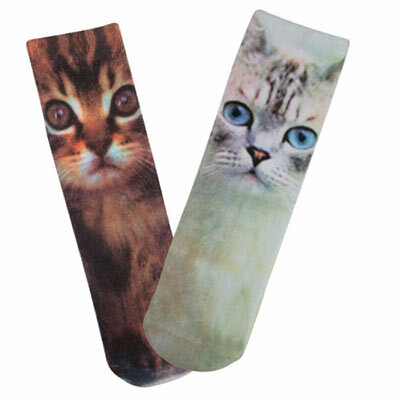 These socks are a wonderful way to show your cat craziness with any outfit! Cute, practical and fun, these socks are a great gift for the cat lover! The images on the socks are extremely life-like and the socks themselves are so comfortable you'll want to wear them all the time!